During the program, students are accommodated in single rooms at one of our partner student residences. All rooms are equipped with a desk, a single bed, a wardrobe, a bathroom with shower and toilets, a telephone, and a wired or wireless internet connection. There are kitchens and reception rooms on every floor. Laundry rooms and TV lounges are also available. Residences are accessible either within close proximity of the school or are accessible by simple commute by public transportation. For any other specific needs regarding accommodation, please contact summer@ieseg.fr. 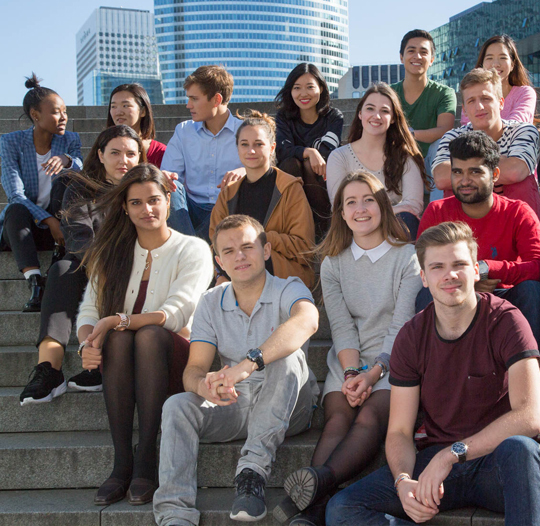 In addition to a busy academic schedule, participants of the IÉSEG Summer Academy benefit from the high-quality selection of extracurricular activities. Undoubtedly, the Palais Garnier embodies the architecture that best represents the art of the Second Empire and stands as a symbol of luxury and pleasures of the French capital. 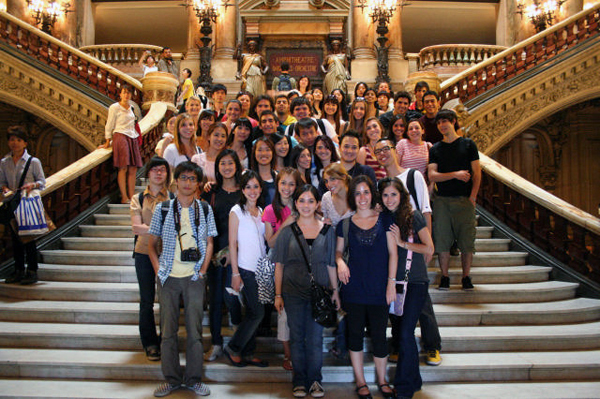 Led by a tour guide, IÉSEG Summer Academy students are amazed by its rich architecture and abundant decor. The numerous paintings and sculptures allow the Opera Garnier to be not only a theater but also a museum at the same time. The Summer Academy International Evening is a great celebration of cultural diversity. At the same time it gives our students a chance to show their talents. The evening celebrates the culture and diversity at IÉSEG, providing an opportunity for students and staff to share in their cultural diversities through music, dance, poetry, costume and tradition. The traditional and romantic Seine river cruise is offered to our Summer Academy students as part of the welcome weekend. Since the Middle Ages, the Seine river banks form one of the most beautiful urban landscapes in the world. Many of Paris’ famous sights – Notre-Dame, the Louvre, the Orsay Museum, Palais de Chaillot, the Eiffel Tower – are located on the Seine river banks. That will be an exceptional, quick and relaxing way to visit Paris during your first days with us. An unforgettable closing ceremony marks the end of the IÉSEG Summer Academy. After the award of the Summer Academy graduated certificates, the French level certificates and the prizes of the Photo contest, a surprising show takes place. Students present a program of performances and sketches involving professors and staff and aiming to reveal their personal experience during the month passed at the IÉSEG Paris campus. The closing ceremony is followed by a farewell cocktail celebrating a new global friendship network.